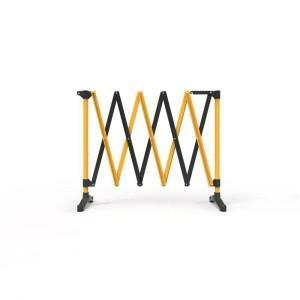 The Maxi features increased height and reduced gaps between the floor and the bottom of the barrier. 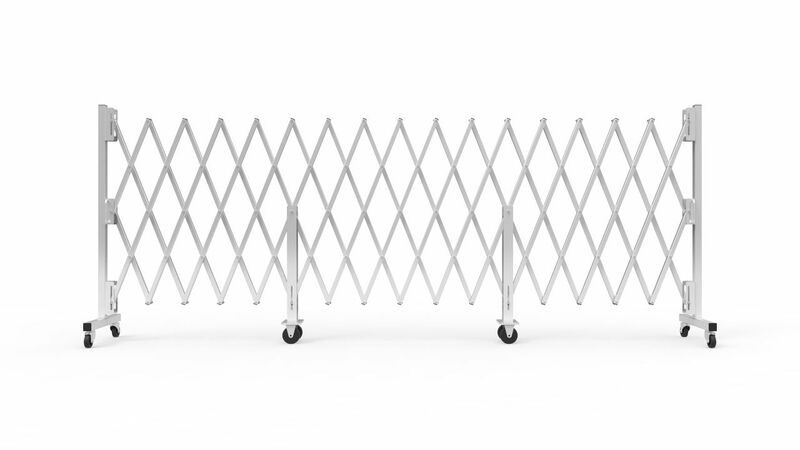 Also, with a smaller opening size between the slats this new design is more secure and safe than other heavy duty expandable safety barriers. 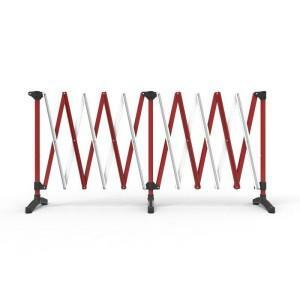 The heavy duty safety barrier is designed with aluminium slats, galvanized slide components and stainless steel fixings that are all non-corrosive and perfect for indoors and outdoors. 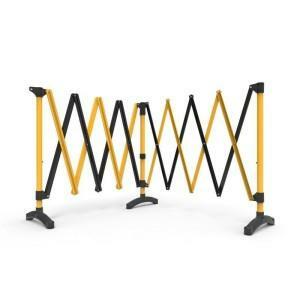 Supplied with four heavy duty, locking swivel castors and central fixed dolly wheels this portable safety barrier is easy to move from one location to another. A receiver bracket can be purchased separately, which allows you to fix your barrier in a permanent location and expand to deny access to the area as required. 6.7 or 7.8 metre models available. Complete with four heavy duty locking swivel castors (75mm diameter) and central fixed dolly wheels. Can step up to 300mm for changing floor levels. Non-corrosive construction suited to both indoor and outdoor use. Aluminium slats, galvanised slide components and stainless steel fixings. 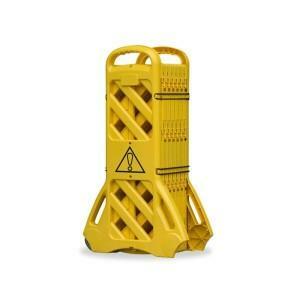 Increased safety and security due to reduced opening sizes. 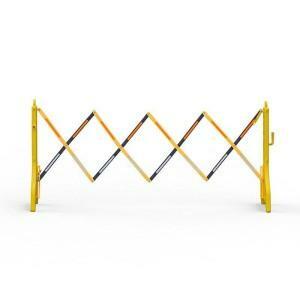 Can be linked together to form a continuous heavy duty barrier. Easily transported by one person. 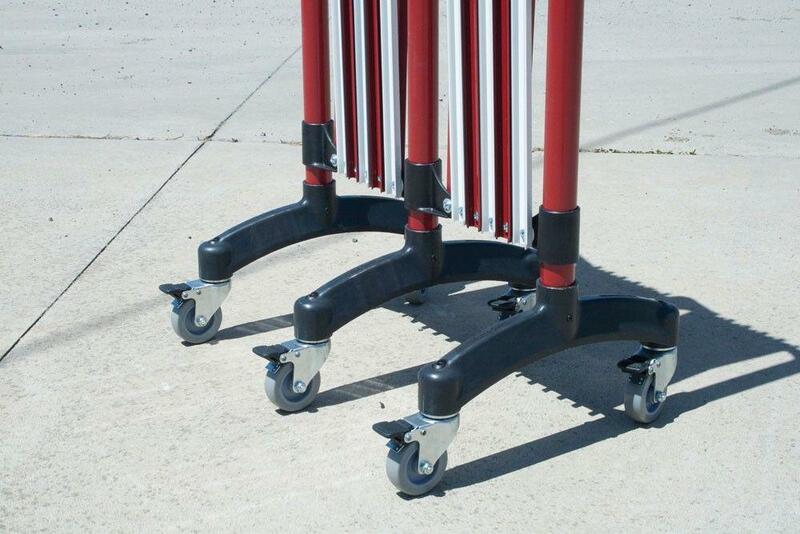 Castors improve ease of handling between locations. Can be wall mounted at one end using the optional wall receiver bracket and rolled out as required with minimal effort. 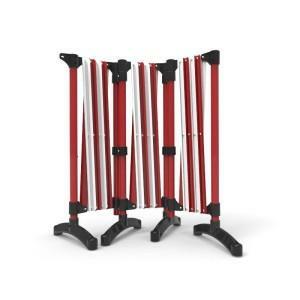 Description: Port-a-guard Maxi expandable barriers. Configuration: Freestanding as standard. Wall mounted parts (sold separately). Material: Extruded aluminium slats and posts. Hot dip galvanised steel slide guides. Stainless steel assembly fittings. Height: 1430mm or 1800mm from ground to top of slats when expanded. Width: BPGM140 – 6.7 metres expanded. BPGM180 – 7.8 metres expanded. Can I get Port-a-Guards in custom colours?